Set on the buzzing streets in Makati City, Air Residences is a high rise residential development envisioned to lead transformation. It aims to regenerate its thriving location to fulfil its full potential through its innovative design. 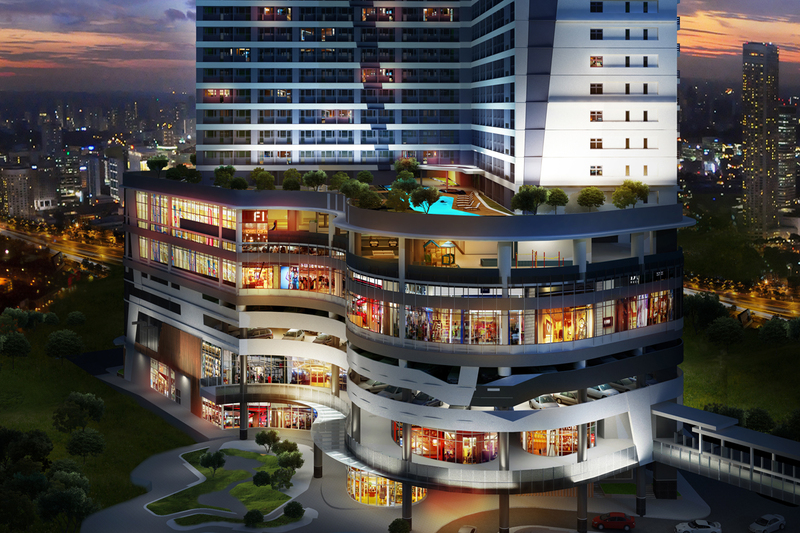 Teamed up with internationally acclaimed designers from Manila and Hong Kong, Air Residences are set to be an entirely new landmark for Makati City. The sleek, towering design of Air, successfully links the intricate architecture with the streetscape by incorporating green wall on its façade. This compliments the communal landscaped spaces at the central park on the ground floor. The striking podium design blends well with looming high rise towers that responds to the wider city context. 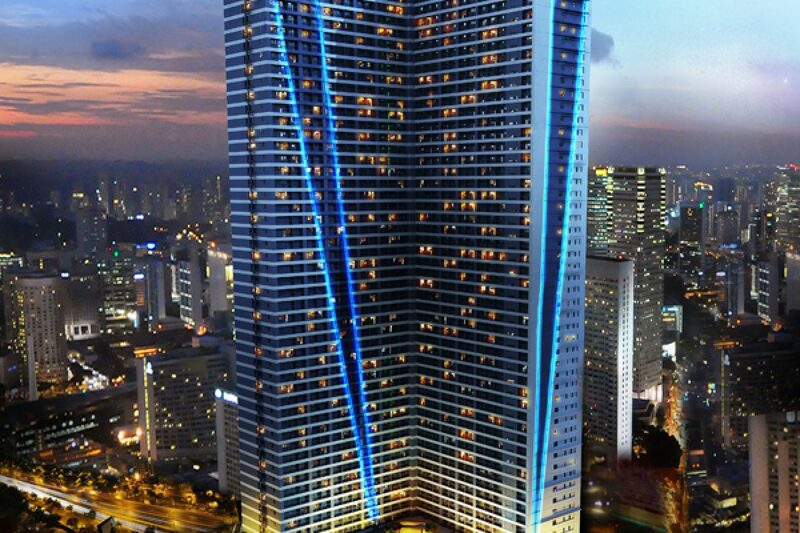 Air Residences is inspired by “Contrails” or the white trails formed by aircrafts when soaring high above the clouds. The linear design accent further emphasizes the towering height of the building. Either by day or by night, inhabitants can see the beauty of the city from different perspectives. The pocket amenities are in full view with strikingly landscaped green spaces and water features that create a sense of calm, connected, and contemporary living. The location of Air Residences has proven to be one of its major strengths. The seamless link with the city continues at its epicenter. Walkable pathways that reach directly to major avenues that lead onto wide central plaza. Outside space takes on a whole new breadth with a verdant Central park that is potted with trees and wild flower beds. Retail Spaces are strategically tailored to its residents’ every need. They can discover new shops, restaurants, and convenient services within just a few steps from their front door. These retail mix is perfect for entertaining friends and family or meeting with business colleagues. And to make it even more, convenient, a foot bridge is installed at the second floor, linking the commercial space from the building for an uninterrupted shopping experience. Green living and sustainable development are top priorities for Air Residences. Committed to reducing energy, water, and waste on the site, features to encourage sustainable living can be found on the development. One worth noting is the use of Rainwater harvesting for non-potable uses. A certain percentage of the mass foundation is dedicated to water storage for harvested rainwater which in turn is used for irrigation. With the busy life in the metro, living in the city can be sometimes be chaotic. But with the space at Air Residences, Air, a private oasis of world-class amenities is readily available for residents to truly find comfort in their own home. The expansive facilities are situated on the same level for easy access offering residents spaces to relax anytime. There is also a spacious rooftop terrace surrounding additional exercise facilities with views out over the city. These amenities can accommodate a myriad of activities, whether for relaxing, spending time with the family, hanging out with friends, or even doing business, the amenities at Air have everything one can possibly need.